So soft and beautiful! I love the gorgeous textures! This is GORGEOUS!! So simple, yet your attention to details--the background, the subtle coloring, the ribbon--make this a stunner! We're thrilled you shared this with us at the Paper Players this week! 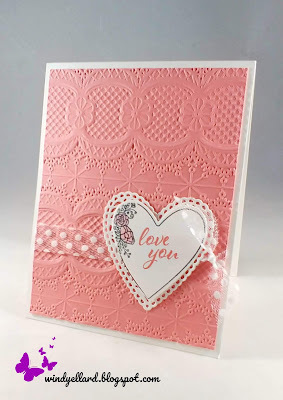 Windy your card is indeed both lacy AND lovley - wonderful textures and I love the soft pink and delicate ribbon detail. 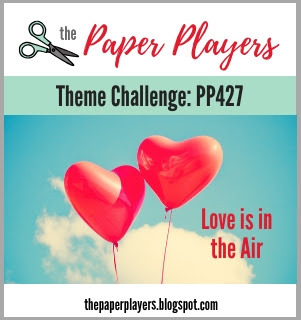 Thanks for playing along with my love-themed challenge over at The Paper Players this week!